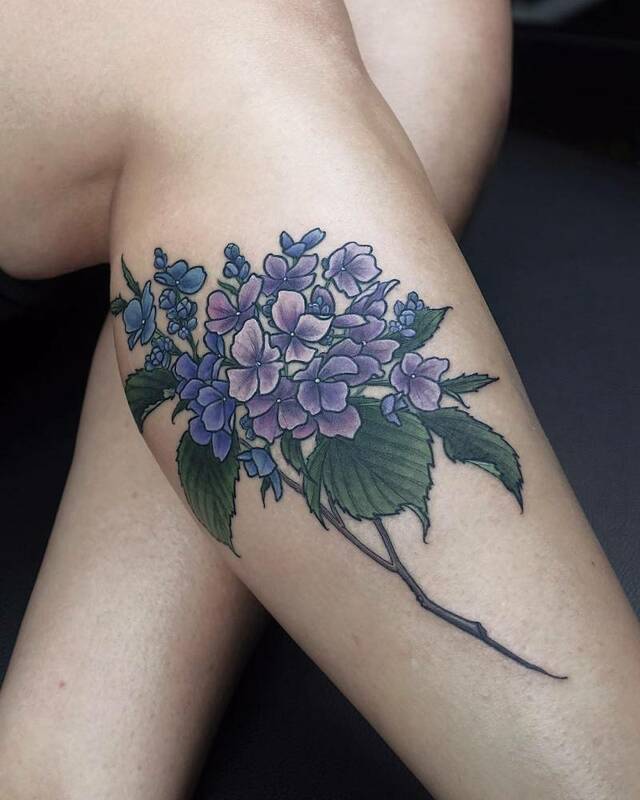 Every artist has a favorite subject matter they love to tattoo most and make their mastery. 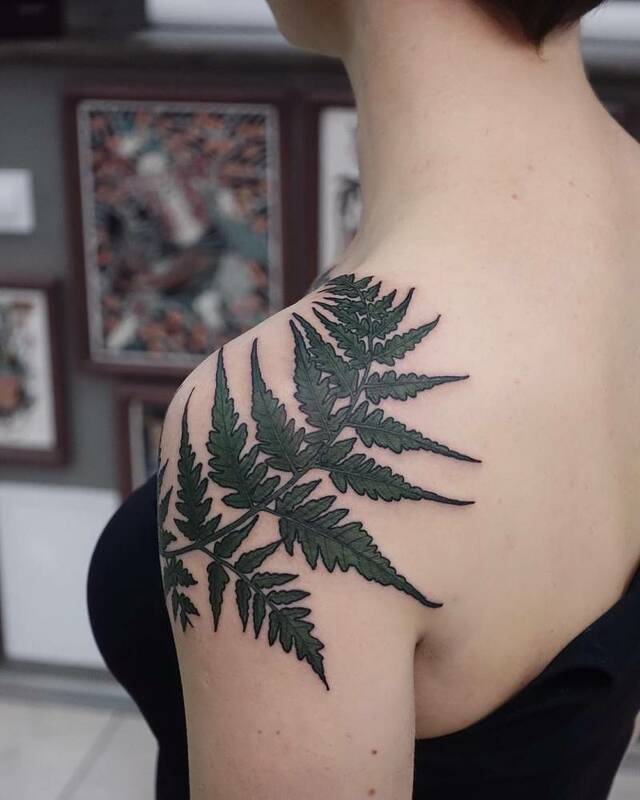 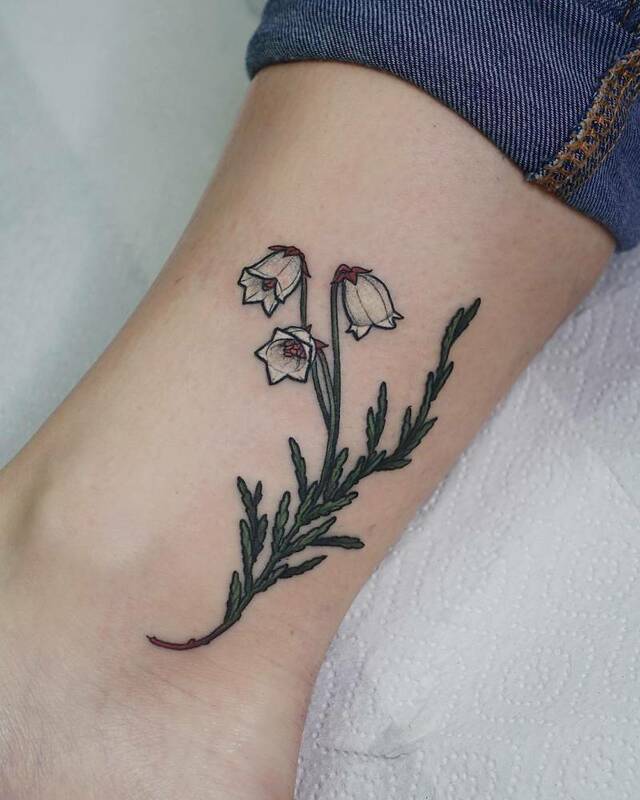 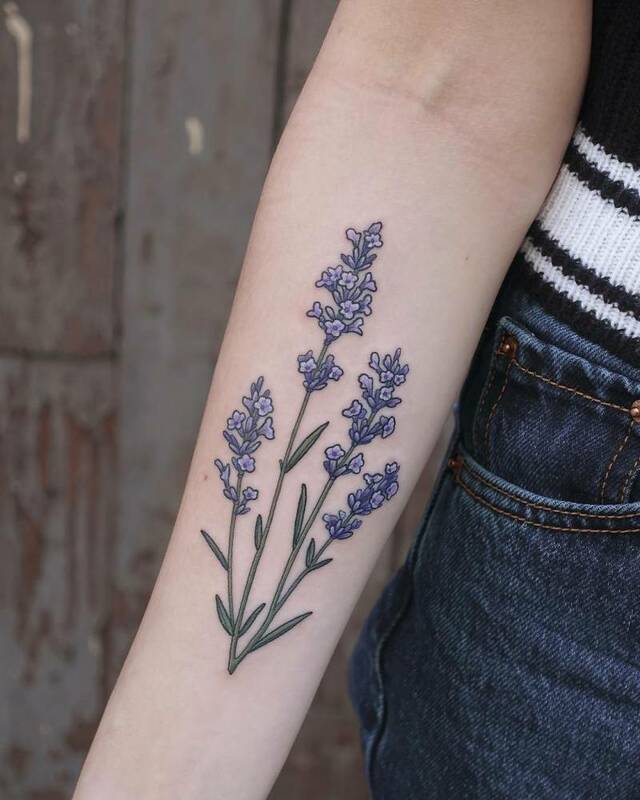 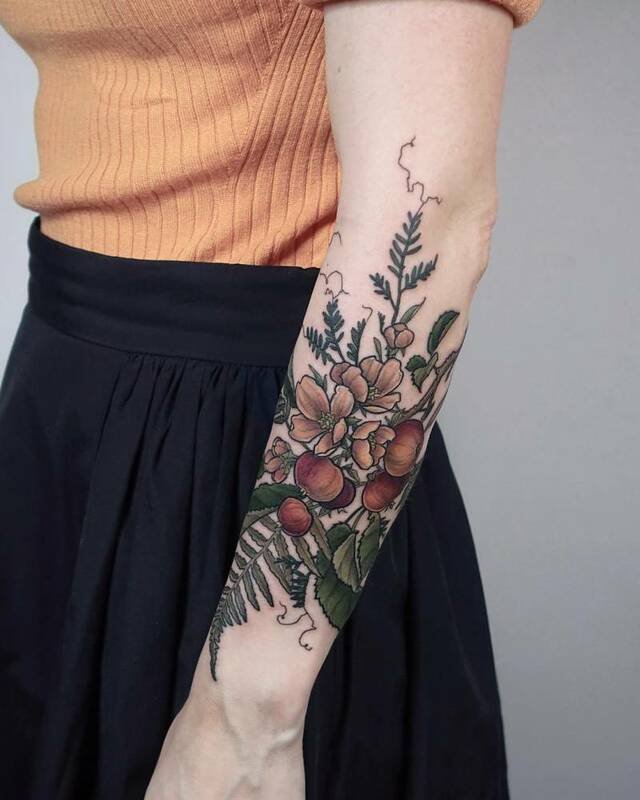 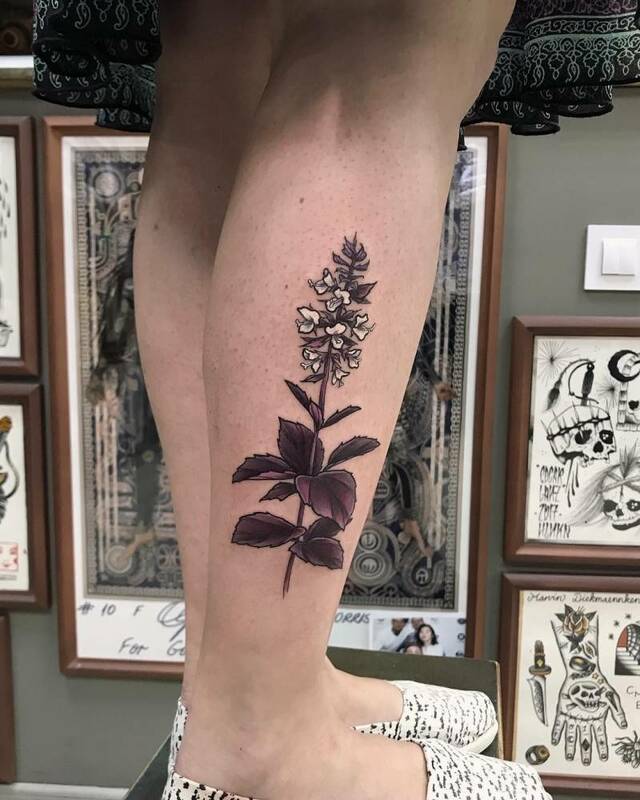 Olga Nekrasova's specialty are botanical tattoos and they're absolutely gorgeous. 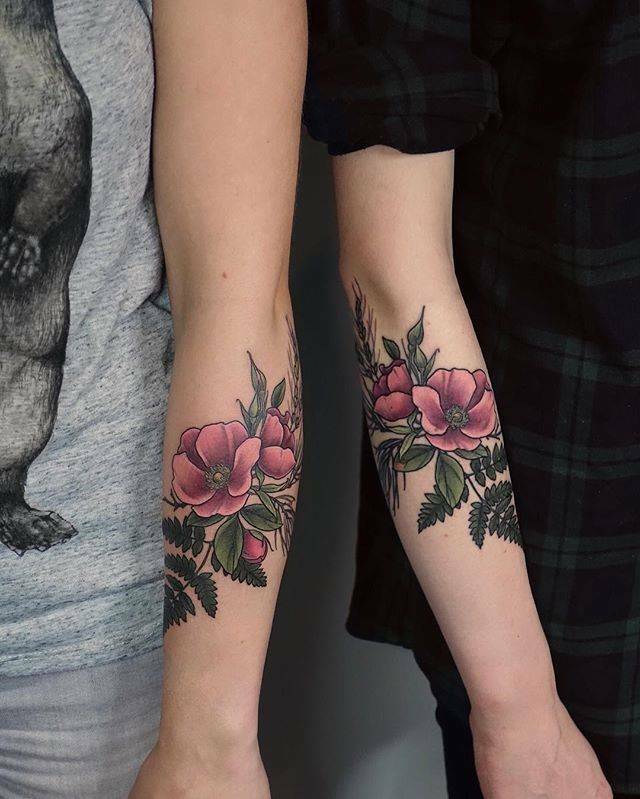 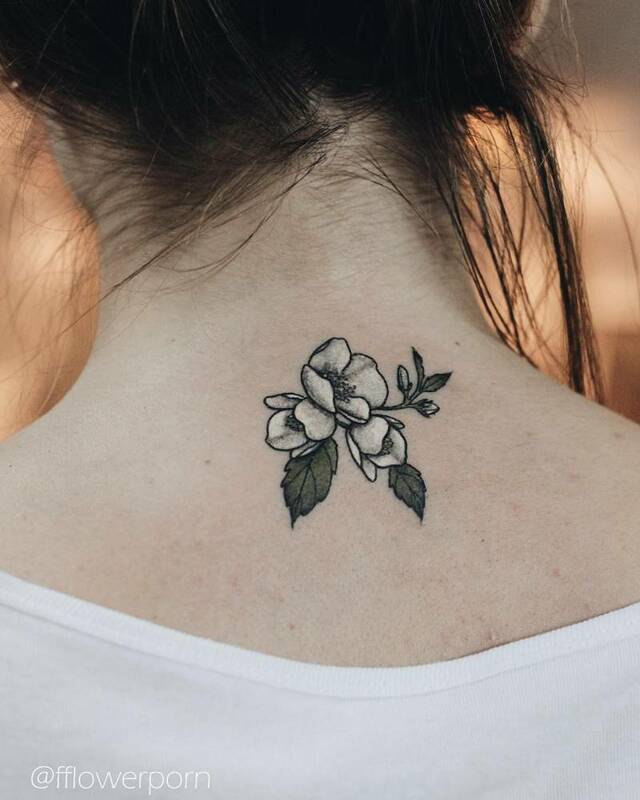 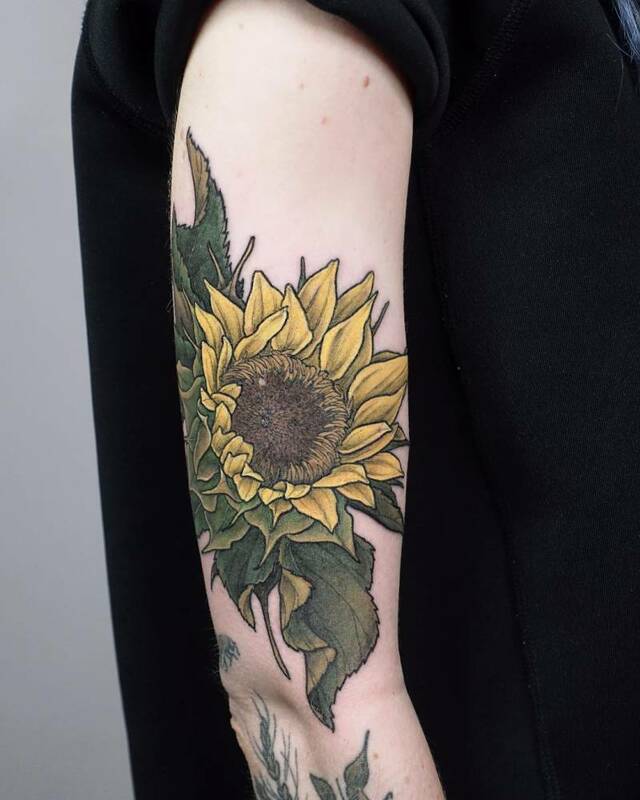 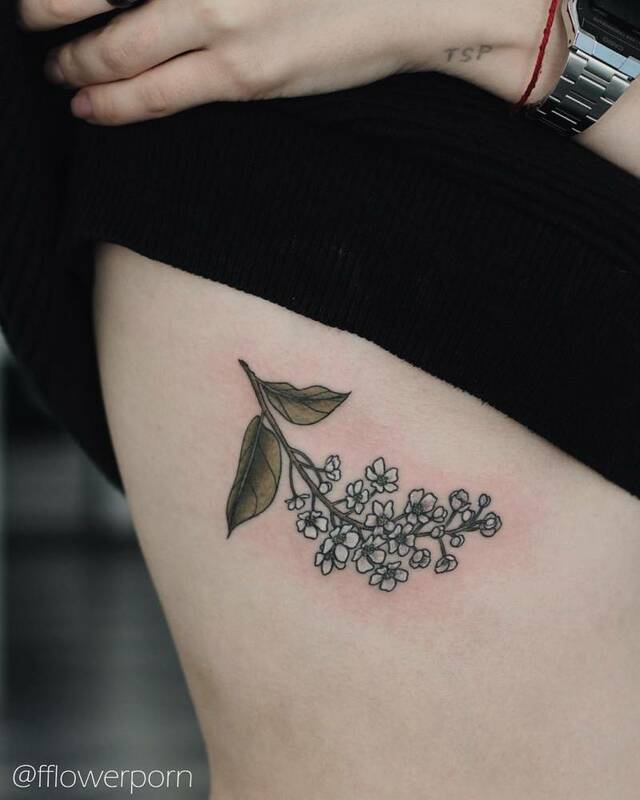 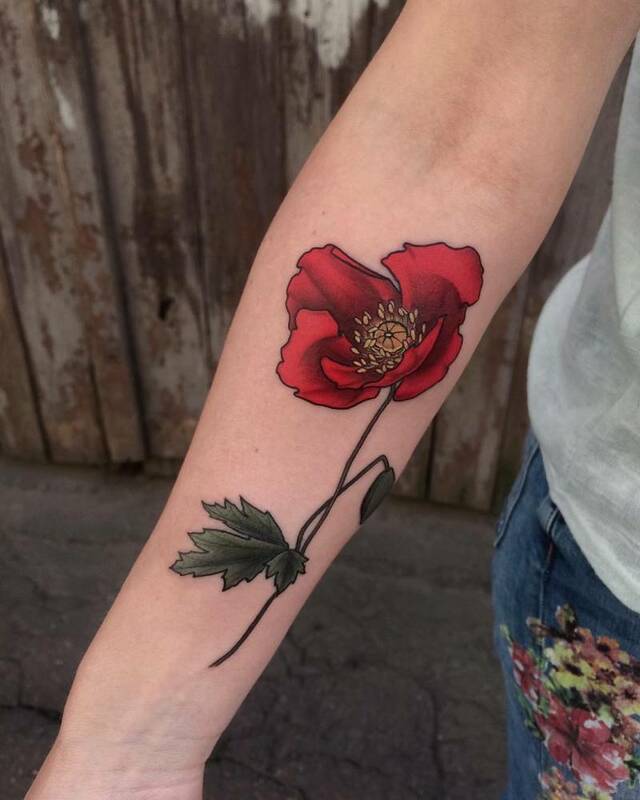 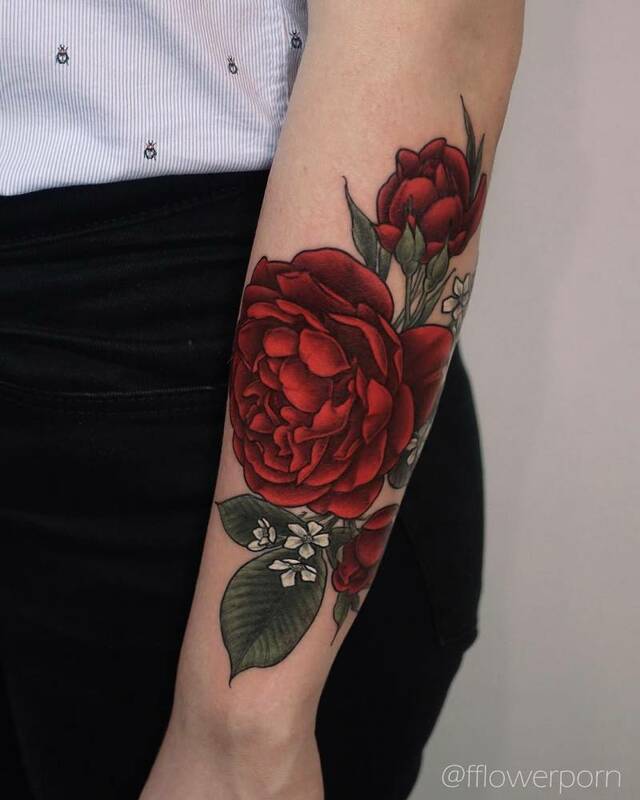 Tattooing from Saint-Petersburg, Russia, and true to her username, fflowerporn, she creates some of the most delicate and elegant illustrative style flower tattoos out there. 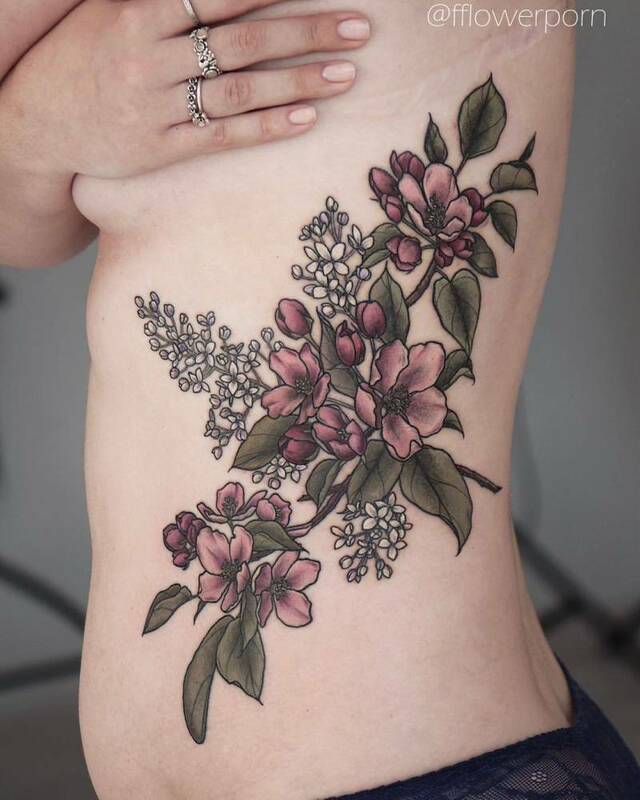 Color flower tattoos are usually very bright and bold. 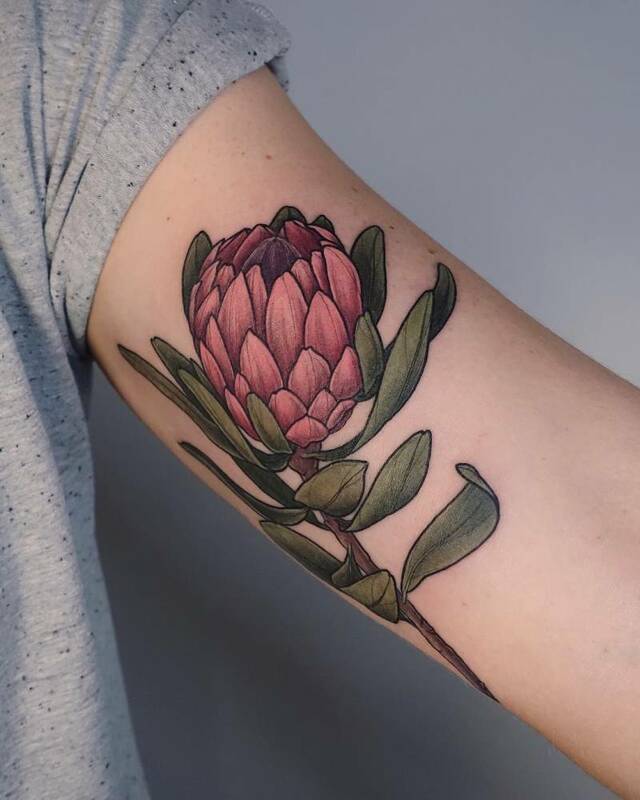 Olga however uses a matte-type color palette that stands out, reminding us of the vintage flower illustrations you can find in old botanical books of past centuries. 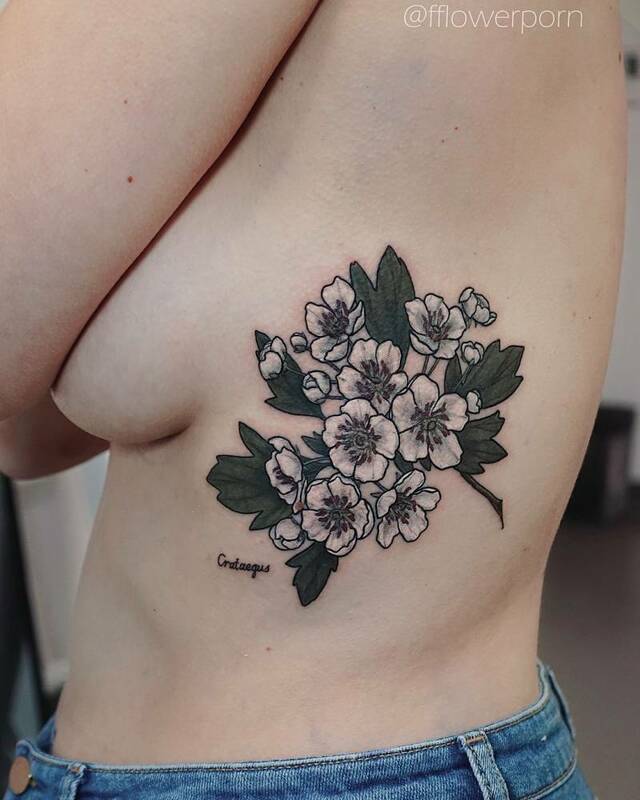 On the more corporal side of her tattoos, wether big or small, Nekrasova's tattoos sit on the body beautifully, as if they had been there since the carriers were born. 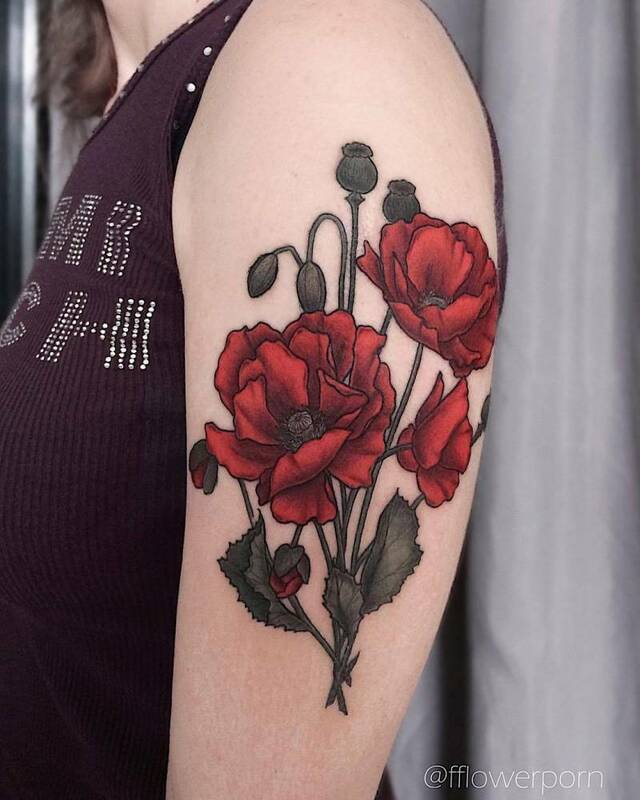 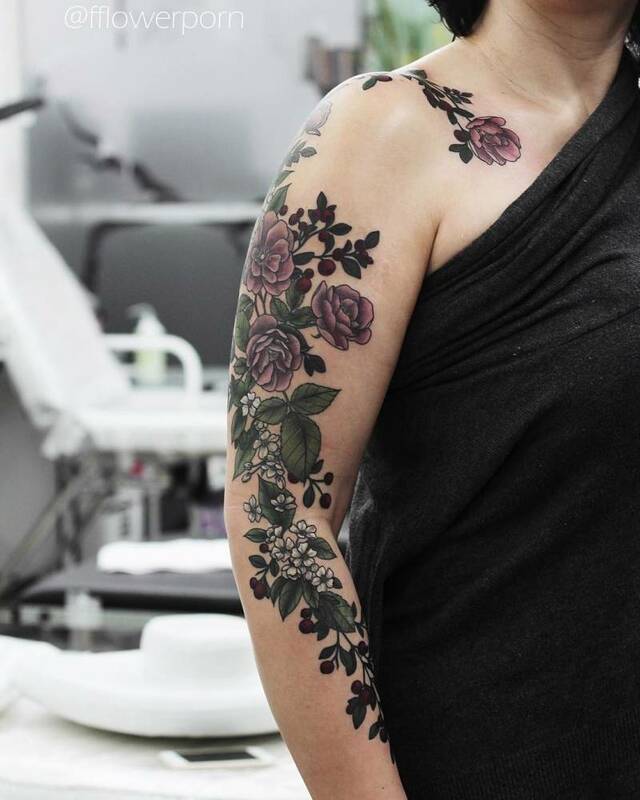 Check out below and prepare to be amazed with these gorgeous flower tattoos by Olga Nekrasova. 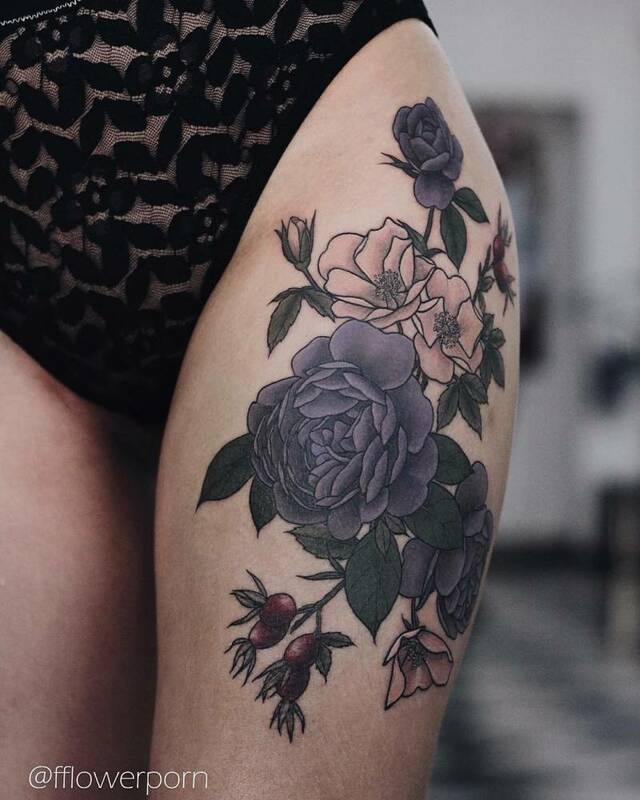 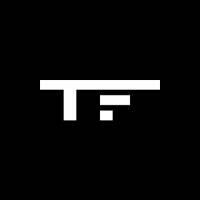 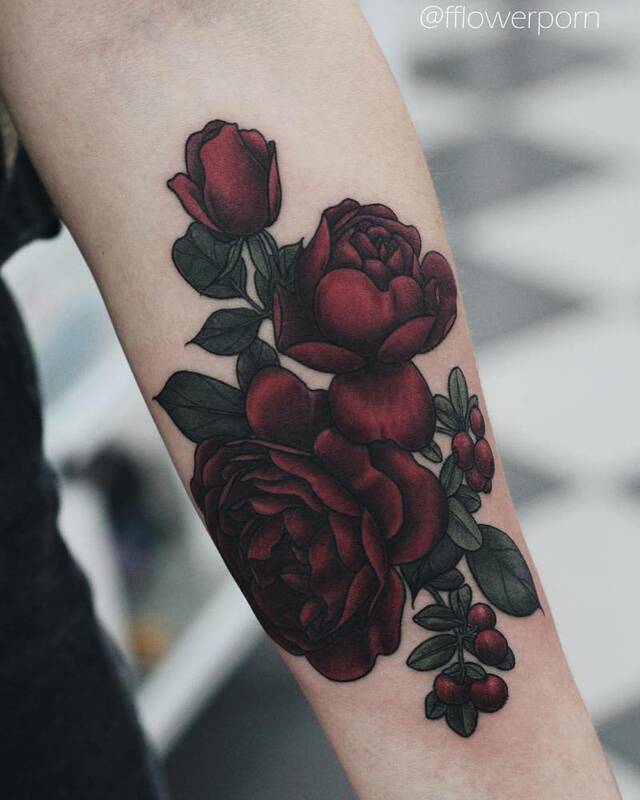 True to her username (fflowerporn), Olga Nekrasova will surely give you a floral eye feast in her nature tattoo-packed Tattoofilter feed too, plus you will be able to filter her portfolio.